Jim Carlton is Professor of Marine Sciences Emeritus at Williams College (Williamstown, Massachusetts USA) and Director Emeritus (1989-2015) of the Williams College-Mystic Seaport Maritime Studies Program (Mystic, Connecticut). His research focuses on the environmental history of coastal marine ecosystems, including invasions of non-native species and modern-day extinctions in the world’s oceans. His research sites include the Pacific and Atlantic coasts of North America, the Hawaiian Islands, and the Galapagos Islands. Carlton is Founding Editor-in-Chief of the journal Biological Invasions, a Pew Fellow for Marine Conservation, a Fellow of the American Association for the Advancement of Science and a Fellow of the California Academy of Sciences. He has been a Distinguished Research Fellow of the University of California at Davis’s Bodega Marine Laboratory and the Paul Illg Distinguished Lecturer at the University of Washington’s Friday Harbor Laboratories. Carlton is the only scientist to receive the Interagency Recognition Award from the United States Federal Government for his national and international work to reduce the impacts of exotic species invasions in the sea. 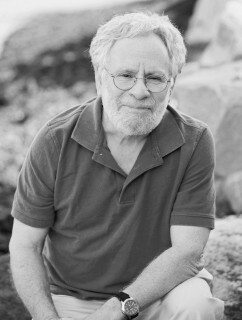 He was Co-Chair of the Marine Biodiversity Committee of the National Academy of Sciences, which produced Understanding Marine Biodiversity: A Research Agenda for the Nation, and he was Co-Chair of the National Academy of Sciences/National Research Council committee advising on setting standards for ballast water to reduce invasive species introductions. Carlton wrote and edited a monograph on the marine life of the Pacific Coast (Intertidal invertebrates from Central California to Oregon, University of California Press, 2007, 1001 pp.). In 2007, the James T. Carlton Marine Science Center, an 8000-square foot research and teaching facility of the Williams-Mystic Program, was dedicated in his honor. In 2013, he received the Fellows Medal of the California Academy of Sciences. He has authored or co-authored more than 175 peer-reviewed publications and co-edited/authored 6 books. In fall 2017, a team of researchers led by Carlton published a major article on the transport of invasive marine species aboard marine debris in the wake of the May 2011 Japanese tsunami. The article, which appeared on the cover of Science, drew together a team of researchers from across the country and received national media attention.